Most of my social media feeds are full of kindness. Really, y’all are a sweet bunch of voting, do-gooding, funny, and freethinking protectors of the planet and champions of the less privileged. Some get gussied up for countless events requiring large donations to noble causes; others give your time to help an elderly neighbor, staff the local food pantry, create art, and redesign all of our public spaces to be accessible and fun for everyone. A disturbing number of you have a near pathological savior complex for condemned animals and strays. And my how progressive we’ve all become! Two years ago I attended my first gay wedding with a boatload of Republicans shedding happy tears of love and support. Locally, my affluent town has voted to pay higher taxes to fund programs to bolster our vulnerable citizens. And 97% of you didn’t balk–even cheered– when our most iconic Olympic athlete transformed from the man we grew up with into the woman she was all along. Of course, mainstream media wants you on board. The liberal masses don’t want your bystander nonchalance; they want full-throttle endorsement! And I suppose those who “will still call him Bruce” cannot stomach the cheers and accolades and awards for this flagrant display against God’s creation or nature or decency. The world has gone loony tunes! It’s OK. Take a beat. Remember our own parents’ opinions about homosexuals in a pre Will and Grace world? Well, regarding the transgendered, we’re still a few must-see-TV moments away. And no one will fault you for not understanding this brave new future of women-becoming-men and vice versa. But fabricating arguments in denial of something scary and true for thousands is unkind. Tying those opinions to religion makes Jesus facepalm. Because I spent a regrettable amount of time murdering rats with a guillotine in order to study their still fresh brains, I have a small and gruesome credibility to dissuade you from comparing Caitlyn Jenner to Rachel Dolezal. Though it pains my heart to read these articles, my arguments derive quite literally from the noggin. Some of you might be able to dredge up this long forgotten fact about human development: we’re all designed to be girls. The human default setting is Lady. If people had a browser that popped up automatically, it would be called Chyx. Without the effects of boy hormones (androgens) on our brains and bodies at key moments, we’re all going to need training bras and develop a complicated relationship with our bangs. For the transgendered, this sort of mismatch happens. Somehow the endocrine soup around the brain doesn’t gel with how the body is shaping up. It’s not a choice or a delusion; it’s biology. It’s also devastating, confusing, scary, and rare. For those who want more scientific proof than my watered-down biology lecture, I can point you to any number of rat labs with guillotines. There are also peer-reviewed research studies revealing structural differences in the transgendered human brain. 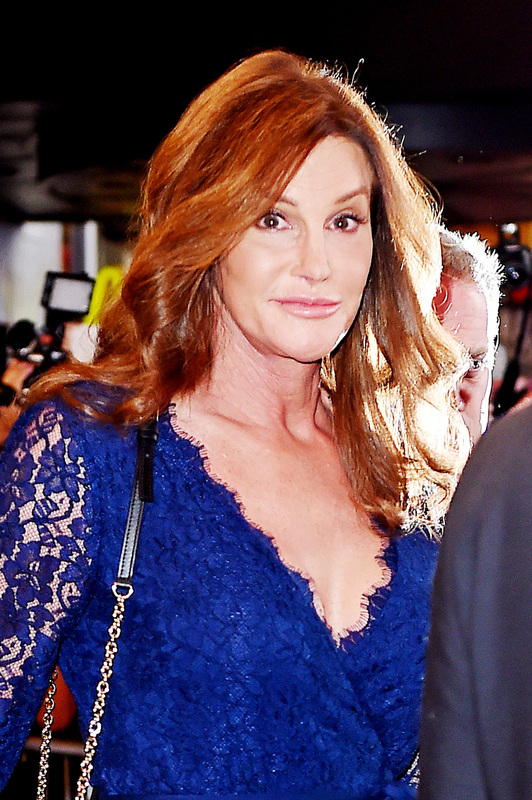 But despite more credible, kinder arguments, some of you will “still call him Bruce.” Otherwise thoughtful, smart people will keep citing the one doctor who doesn’t approve of gender reassignment surgery, or will make false comparisons to body dysmorphic syndrome, or worse, liken Caitlyn to a white girl using an enviable twist-out to be something she can never be. Caitlyn is a woman because her brain was always female. Rachel was never black because, well… she was never black. I have another, more personal reaction to those who champion a fierce attachment to The Body the Lord Gave Us. Mine is no longer whole, but I am no less womanly for having amputated my breasts. Also, I’m alive. Like Caitlyn, I removed the parts that were endangering me, forcing me to be something I didn’t choose at all: a person with cancer. When your queasy disapproval of corrective surgery fetishizes a holy beauty of our native bodies, elevating the importance of our God-given bits and pieces over everything, how do you suppose your breast-cancered sisters feel? Well, this one stands with Caitlyn.